Denver holds the proud designation as home of the very first 100% Paleo Restaurant. mmm...COFFEE!, opened in October of 2012, is a spectacular bistro where you'll find Bulletproof Coffee, tasty food and, to top it off, super awesome people. 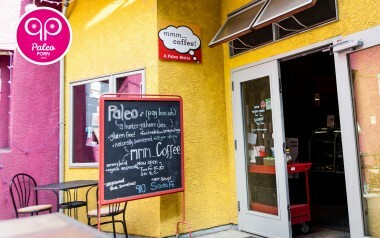 Give our Paleo Restaurant Review video a watch and read the mmm...COFFEE! review below!